At Ometria, we don’t worry about your problems. We solve them. And what’s one of the biggest problems facing ecommerce marketers today? Knowing what customers want. Or, more specifically, what they want from you. Whilst we don’t profess to be Mel Gibson's Nick Marshall, able to read the minds not of women but online buyers, we are determined to provide you with the best possible insights into your customers and potential customers. That’s why we commissioned market research company Populus to survey over 2,000 adults to find out what they really think about your online marketing strategies. 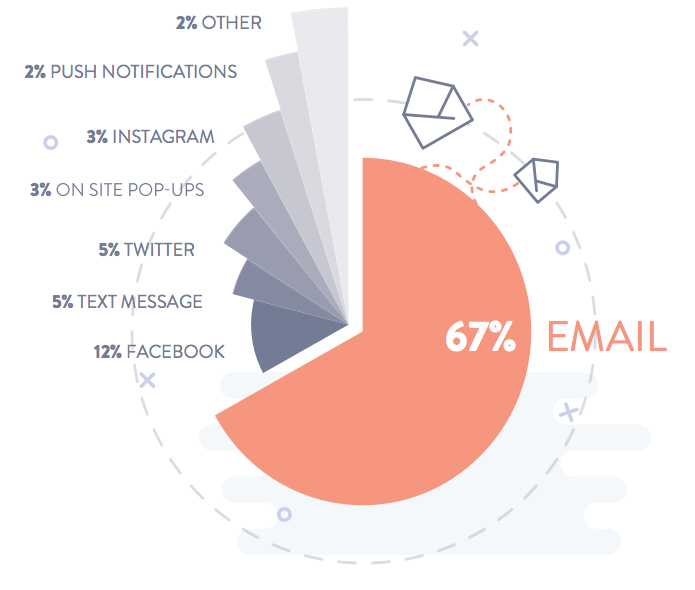 From consumers' top frustrations with the emails they receive from brands to the factors most likely to make them click and buy from a marketing message, we were met with some surprising stats. The full survey can be found in our brand new ebook, which you can download here. To give you a sneak preview, we’re giving away six key takeaways below. Tweet us your thoughts @OmetriaData. With 400 million monthly active users on Instagram, you’d be forgiven for wondering whether social media is on the cusp of taking to the throne as the king of ecommerce marketing. Well, no, it isn’t. Not yet anyway. According to our research, email still reigns supreme, with 67% citing this channel as the preferred way to hear about offers, new products and other news from their favourite companies. As shown in the chart above, the second favourite marketing channel is Facebook (12%); younger respondents are more likely to prefer this method, with around a quarter of those aged 18-24 choosing it. Although email casts a (very) large shadow over its fellow channel brethren, our research recognises that consumers are getting sick and tired of the bygone age of mass-mail, and have a number of growing frustrations with the emails being sent to them. Interestingly, our survey reveals that men find emails not directed at their gender more frustrating than women (63% vs. 54%). What else vexes the modern shopper? Here are the top three frustrations currently boiling up within British consumers’ email inboxes. Guilty of anything, marketers? Like all good irritations, there will always be plenty more simmering on the hob. Download the full report to unearth even more. Our results suggest that brands that continue to send undifferentiated, batch-and-blast emails risk losing the interest of nearly half of their customer base - scary stuff. On the flip side, it's clear that personalised email content resonates well with consumers - 56% of respondants citing this as a factor that would make them more likely to buy. What else do your customers want? 62% of respondants said they would be more likely to buy when brands recognise and reward their loyalty with perks and offers that weren't available to everyone else - a solid case for having the technology in place to recognise your best customers, and send them tailored marketing messages. Only 7% think favourite brands understand them "very well"
We've established that consumers are demanding a more personal experience; that brands that make them feel understood and valued will win their loyalty over those that don't. But what's the current status quo? 40% of our respondents think their favourite companies don't understand the types of products they like (when they email with news and offers), and only 7% feel that retail companies understand these needs “very well”. Addressing your customers by name is a nice touch and can certainly help capture the attention of your prospects, but our research proves that it’s time to move beyond simply ‘insert [FNAME]’. While 38% of people like a name check, an overwhelming 62% of British consumers aren't bothered. Rather, British consumers are more impressed by emails with higher levels of personalisation. For example, shoppers are 40% more likely to shop when an email sent to them recommends products or services based on previous purchases. Nonetheless, our survey shows that getting to the bottom of what your customers are in the market for at any given time is vital, with 59% of people saying that they get frustrated by companies emailing them with products and offers that don't match their personal taste. What's more, younger respondants have even less tolerance for being sent products and promos that they're not interested in - 70%, in fact. 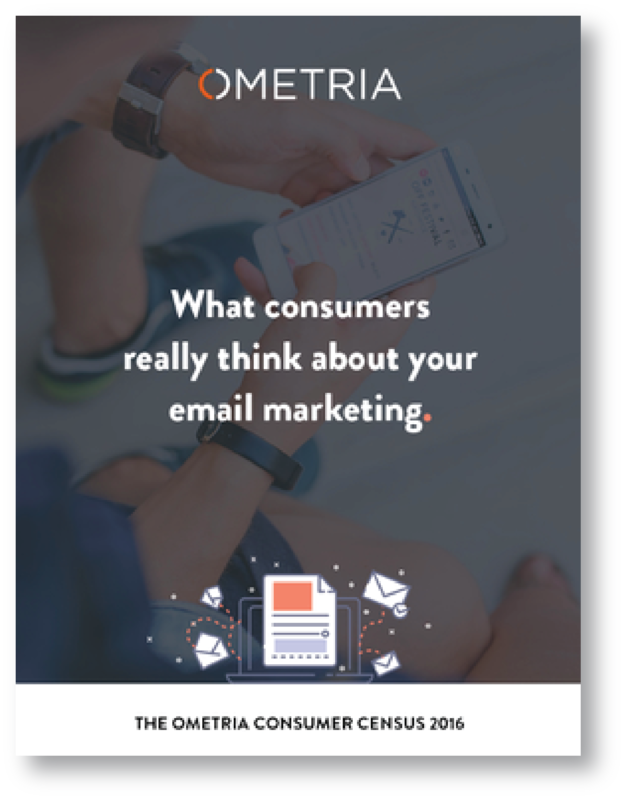 What consumers really think about your email. What they expect from your marketing. What makes them feel understood. What makes them more likely to buy. Just a few questions we answer in our candid report into consumer attitudes to email marketing.